Today I just want to share some books that have really been encouraging through this process. Despite comforting words from your friends and family, Satan can have you feeling like your alone and hopeless. Not all of these were written with infertility in mind, but all of them have been life breathing and have helped me refocus my desires back on God. This book is one of the best I've ever read about prayer. It help you pray "circles" around your dreams, your family, your problems, and most importantly, God's promises. What do you do when God doesn’t show up the way you thought He would? This book is...incredible. I'm now reading it through the second time. He helps you move past the feelings of fear, doubt, and panic that comes when our "Plan A's" don't work out. He helps us see God in the midst of our circumstance, even when He doesn't seem to be there at all. My friend Candace turned me onto this book. When you are dealing with infertility, you begin to feel like a crazy person, You cry in the diaper aisle or when you get your (guys cover your eyes...) period, or cringe at hearing complaints about the crazy toddlers running around in your friend's house. I really started to feel like I was loosing my mind and quite frankly, pathetic. I thought for sure Jay was going to loose his mind dealing with my mood swings. But this book played such a huge part in helping me realize first of all that it’s normal. Second of all, this book brings all of those crazy, emotional feelings back to Jesus. 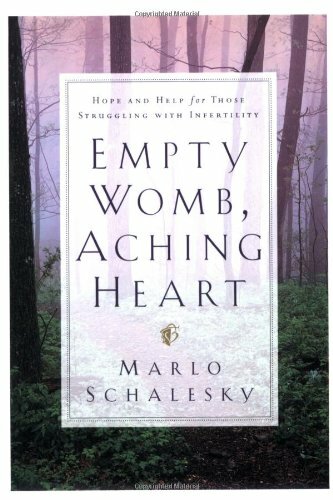 I most definitely haven’t even scratched the surface of the books available on Infertility- you can find more here. I’ll be ordering some of these goodies for sure!